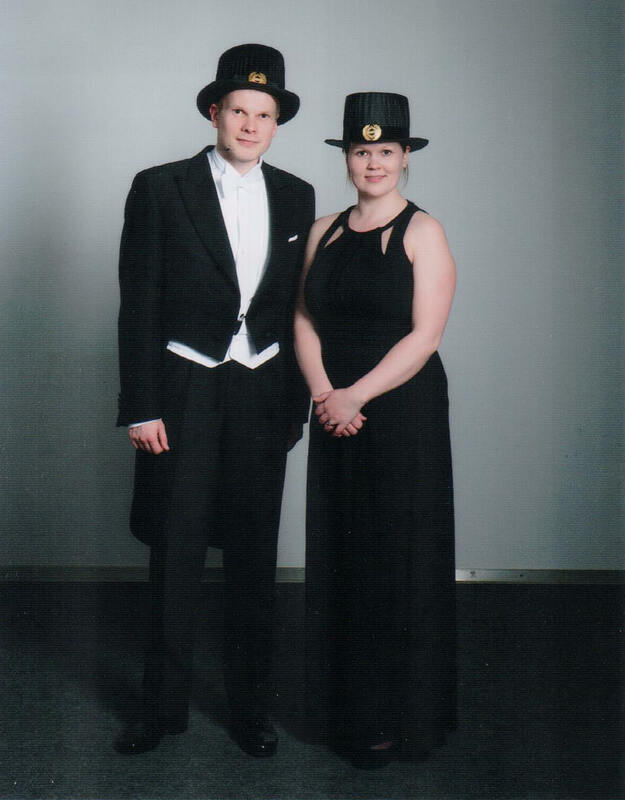 In 2000, the Capacity Development of Water and Environmental Services (CADWES) research team was formally established at Tampere University of Technology (TUT). As its mission CADWES has defined "to produce usable knowledge and education, based on multi- and interdisciplinary research, on the evolution and development of sustainable use of water services and water resources in a wider institutional context: organisations, governance, management, economics, legislation, policy, rules and practices". Due to a long cooperation with the North-West University (NWU), the University of Johannesburg (UJ), the University of South Africa (UNISA) and the Tampere University of Technology (TUT) we had good opportunity to visit a key research institutions in South Africa. We were very pleased to have invitations as visiting research professors to UNISA, which also helped us preparing the visit. Our trip was funded by Academy of Finland´s research project REWAGONS. We started out trip to SA from Tampere on Monday the 30th of October. Flight was via Doha and our arrival to Johannesburg OR Tambo was on Tuesday the 31st of October. Professor Johann Tempelhoff was our host during the NWU visit until 8.11.2017. In addition to interesting field trips, we familiarized with South African Water History Archival Repository (SAWHAR). Professor Tempelhoff has made significant work with SAWHAR and due to that the water archives is already a significant research environment. The NWU’s Vaal Triangle Campus established a water archive in cooperation with the Water Research Commission (WRC) of South Africa. 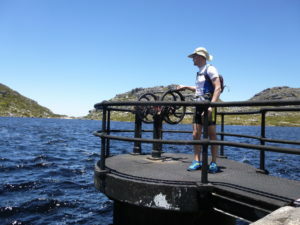 This archive contains historical data on water, including the stories of great water projects undertaken in South Africa such as the Tugela Scheme and the Gariep Dam (http://www.nwu.ac.za/content/nwu-archive-preserves-yesterdays-water-data-tomorrow). We had intensive discussions and planning considering academic publishing with prof. Tempelhoff. He is a editor of TD journal (http://www.td-sa.net/index.php/td). We discussed also about past and future activities of the International Water History Association (IWHA). Proff. Tempelhoff is the former president of IWHA and UNESCO Co-Chair in Sustainable Water Services Juuti is the current one. Overall, our visit to NWU was very fruitful. Our next visit was to UNISA, Pretoria, UNISA 8.11.-15.11. Our host was Prof Eric Nealer, Department of Public Administration and Management. During our visit we had several planning meetings considering three pre-review articles to international journals and one book chapter, joint effort by Juuti, Nealer and Rajala. We had also opportunity to join water linked field trips. We were very pleased to meet several colleagues of the prof Nealer and department head Prof Werner Webb. It is the most efficient way to meet people and colleagues face to face to ensure future connections. -Artificial Groundwater for Turku Region– Mission Impossible? Our next stop was Sasolburg and ECOHEALTH conference. President of the conference was prof Elize van Eden from NWU. This small and interesting international conference was held during 16.-17.11. Our next and final visit was Cape Town from 18.11. During our stay, we focused on water crisis in Cape Town. There is now the largest water stress in the history. Water use is heavily restricted. 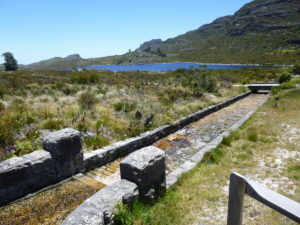 We visited past artefacts of water supply in Table Mountain dated back to 1896. Some parts of this complex water supply from the turn of century is still in use. Nowadays, Cape Town tries to find help to desperate water need from desalination. First trials were already century ago according to archival sources. We visited also in the key libraries, archives and water supply history locations. We were back in Finland in 12.12.2017 after 27 hours of traveling. We arrived literature into the middle of the snowstorm. During this visit, we contacted over 50 academics, presented 8 times, contributed to 9 articles and book chapters. We wish to thank our kind hosts Prof Eric Nealer, Prof Johann Tempelhoff, Prof Werner Webb and Prof Elize van Eden for making this visit possible and their warm hospitality. We wish to see you also next year, during the ECOHEALTH conference. 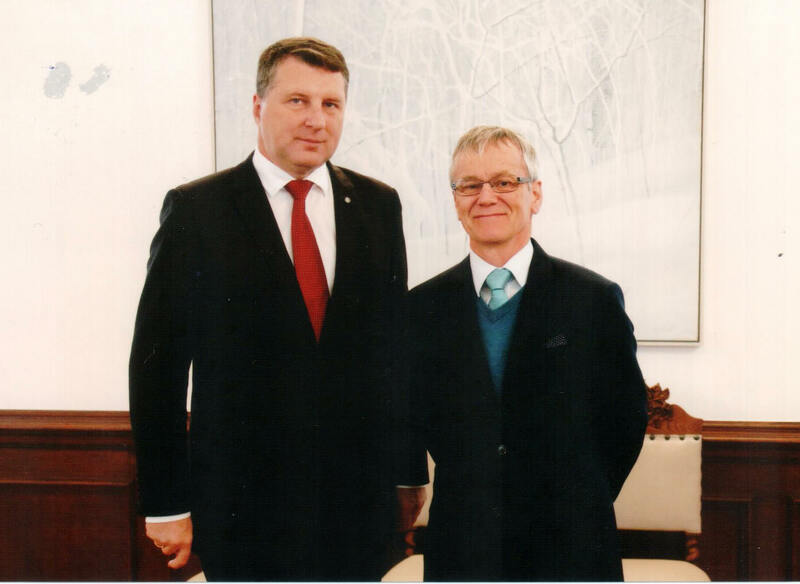 On the 16th of October, 2017 in Riga, Latvia the UNESCO Chairholder Tapio S. Katko (right) had a unique opportunity to meet the current and honorable President of Latvia, Raimonds Vejonis (left) who is a TUT alumni and took part in the Water and Environmental Management Course, hosted by TUT in 1993–94 within the Baltic Sea region environmental cooperation activities.